Improve Sales Funnel Using Live Chat! Live chat is an important part of the omnichannel user experience. 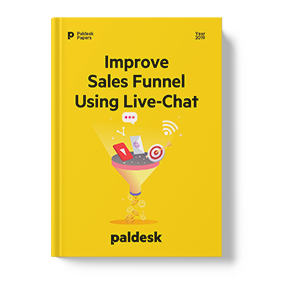 Sadly, only a small number of companies have successfully implemented live chat as a part of their marketing and sales strategy, even though live chat leads to better sales results. I want to receive the latest news from Paldesk.